This is a forty-five minute, quiet, and meditative service of Holy Eucharist. 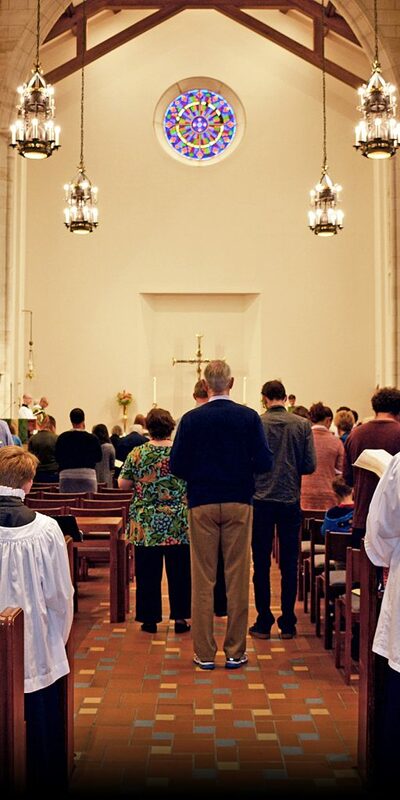 Familiar, contemporary English is used from the Rite II form of the Eucharist in the 1979 Book of Common Prayer. The service includes two readings and a Psalm, a sermon, and Holy Communion (The Lord’s Supper, Eucharist, Mass, etc.). There is not normally music at this service. All Baptized Christians, regardless of denominational background, are invited to receive Holy Communion. 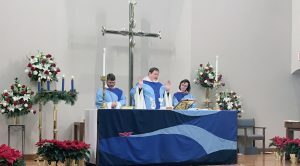 This service lasts slightly over an hour, and is a musical, festive, family friendly service of Holy Eucharist, which includes three readings, a sermon, and Holy Communion (Lord’s Supper, Eucharist, etc.). From September through May, the service is sung and features the Canterbury Choir and Choristers. From June through August, the service is also sung and features more hymns. 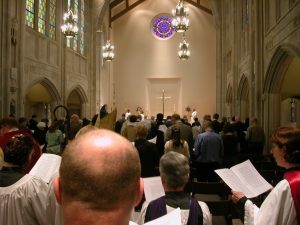 Familiar, contemporary English is used from the Rite II form of the Eucharist in the 1979 Book of Common Prayer. All Baptized Christians, regardless of denominational background, are invited to receive Holy Communion. 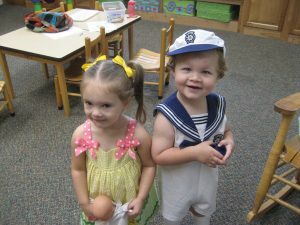 A nursery is available for those 0-4 if having your little ones with you distracts you, or you need a break. Please know that children are always welcome at all of our services. A Children’s Church is available for those 4-8. They meet in the parish Library in the Canterbury House and share in their own Liturgy of the Word that is an age appropriate version of the first half of the main service. Children rejoin their parent(s) at the peace before Holy Communion. Both the Nursery and Children’s Church are located in the Canterbury House immediately next to the Chapel. Following the service, refreshments are served in the Canterbury House (next door), and a time of fellowship is observed, and Christian Education for Children is offered.